There is a breathless, frantic intensity to Porch. Two scenes play out in my mind, and I'm not sure which one I like more. One has a person running through their apartment in a bit of a daze, by themselves and coping with the end of a relationship. The other sees a person storming out of a house, trailed by the song's narrator, begging for the person to stay as they throw their car into reverse and head off into the distance. In both situations the key to the image is movement—because if the narrator stops they will collapse. Either way it begs the question, what happened here? I've always thought Porch was about a woman pleading with a man to stay, but it works with either gender. The ‘would you hit me?' lyric works either way here, with the singer hoping that perhaps some kind of physical act will offer some kind of outlet for the problems that are dragging the relationship down. In either case it is a request borne of desperation, and has particularly sinister overtones if the voice of the song is supposed to be female. So what is driving the collapse of the relationship? The second verse makes me think that the issue is pregnancy. It is hard to tell if this is something I'm reading back into the song due to the pro choice message Eddie scrawls on his arm during the Unplugged performance, plus all the comments made at early shows about choice. If the singer is a woman I imagine her discovering she was pregnant and the guy just absolutely freaking out, tearing out of there rather than staying to confront this new reality—the woman offers to abort the child for him (perhaps he thinks she won’t—‘ the cross I'm bearing home ain’t indicative of my place’) but he won’t stay still long enough to listen. But the cross she’s bearing could also just be a more traditional metaphor for the suffering she’s enduring—perhaps this is a woman declaring an end to an abusive relationship, demanding change from the partner. The way Eddie positively seethes when he sings ‘there ain’t gonna be any middle anymore’ makes it clear that regardless of what is going on a line is being drawn, that she wants an end to the daily minefield of complications that is fast ruining their shared lives. Porch is about weathering a storm, and the title is key to that. A porch brings to mind warm and cozy images of home, of tranquility and safety—and Porch is about the destruction of that safety. The first half of the song sets up the collapse, the back half deals with it from inside. The music has a galloping energy to it—it sounds like running, as if the person is trying so hard to stay ahead of the events that threaten to overwhelm them. The chorus is both a declaration of need and independence. The singer fears being alone and wants so powerfully for the person leaving to stay (she's running to catch up with him) and there is certainly a sharp edge of desperation to the final minute of the song (which I think is only matched by the end of Alive in terms of its power in their entire catalogue)— she is pleading for things to go back the way they were, but at the same time she is also forcing herself to come to grips with it (you can hear her arguing with herself under the music in the bridge). The cries are not only cries of despair, but strength, fortifying her for the struggles that she will have to face alone. This isn’t the breakdown at the end of Black where the comfort and release for the listener comes from the fact that you aren’t alone in your suffering. In Black there isn’t strength as much as there is solidarity in pain. There is something empowering about the finish of Porch—from the closing of the bridge to the end of the song we have the incredible rolling drums, the great bass line, the soaring andempowering riff (so much fantastic music is buried in the mix—next time you listen to Porch try and block eddie out and just listen to the music-from about 2:04 to the end), and Eddie's primal screams—ragged but determined. It is an emancipatory moment in the midst of a destructive whirlwind, an act of creation just as everything else around you falls apart. Porch finishes with the righteousness of a last stand against seemingly overwhelming odds, with nothing to offer but yourself and the determination that it will be enough, because it has to be. If you liked Mike, Jeff, and Matt's (and Chris Cornell's) cover of Hey Baby (Land of the New Rising Sun), you're going to be excited to hear that Ed will now be cutting a studio cover of the Guitar God. 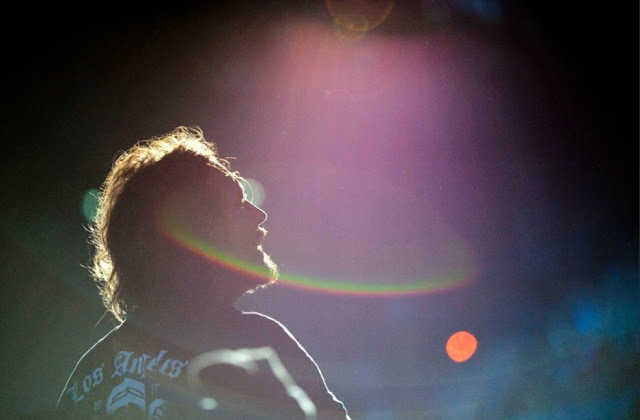 According to producer, Eddie Kramer, Eddie Vedder will be performing a song with Heart. EK has signed on to co-excutive produce and mix a Jimi Hendrix Unplugged album with veteran producer Spencer Proffer for SONY/LEGACY. The album will feature world renowned artists such as Graham Nash (CSN) with Jason Mraz, Heart with Eddie Vedder, etc. 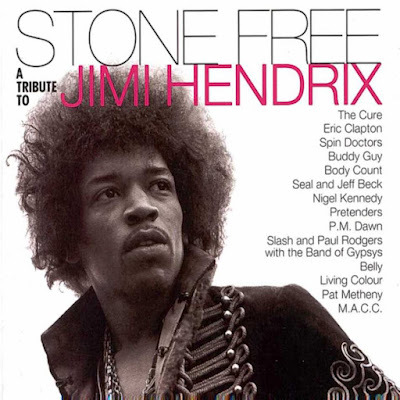 re-imagining Hendrix’s classic songs. Lee Trink (former President of Capitol/EMI) is also a co-executive producer. Janie Hendrix, CEO of Experience Hendrix, has given this project her blessing. 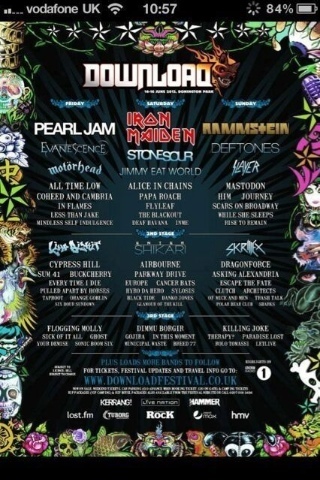 It seems like Download Festival partner, Vodaphone, could barely contain their excitement and made a Facebook post touting Pearl Jam as one of three headliners for next year's Download Festival in Donington Park, Leicestershire from 14th - 16th June 2013. "Vodafone customers can buy their tickets to Download Festival 2013 now, 48 hours before the general sale. Pearl Jam, Iron Maiden, & Ramstein fans, hit LIKE & get yours now!". Does this mean that Pearl Jam will be done with their tenth album by June 2013? Well, that would more or less jive with previous statements about the next album. Still, nothing (album or festival) has been officially confirmed. 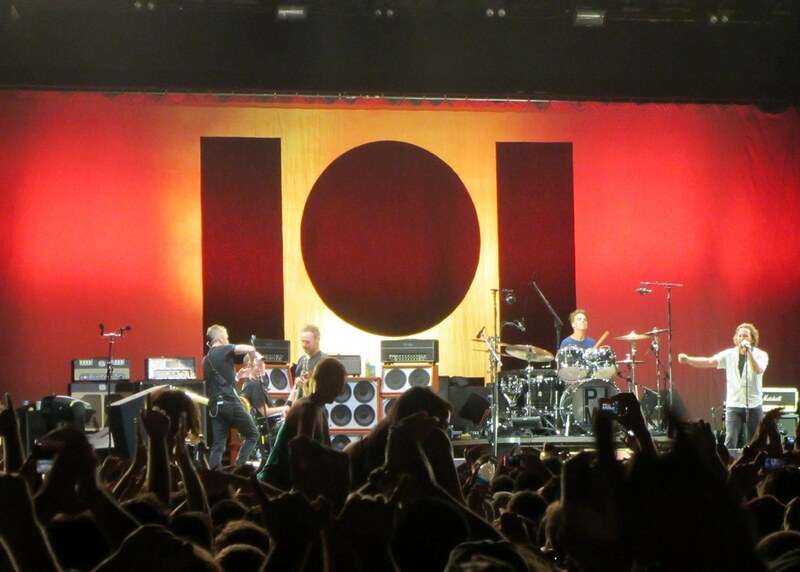 Well, oddly enough, this week marks the first time I’ve attended a Pearl Jam concert since I’ve been your humble blogger, so although I generally leave the reviewing to Stip, I am going to step out and share my thoughts on Pearl Jam’s performance this weekend at the Music Midtown festival in Atlanta. I had made up my mind early that I was not going to fight the crowd to get close to the band. I’m a fan club member, and thus used to sitting very close, but I just can’t bring myself to push and shove 50,000 people to get to the rail or to pee in a bottle so that I can stand there for 4 hours prior to Pearl Jam’s appearance. So, you can see from my pictures, that I enjoyed most of the show via jumbotron. Oh, and to all those fans who pushed me out of the way so that you could find your friend who seemed to have been lost up at the front by the stage, I hope you found them. At any rate, I ended up camped out next to some great fans from Miami, who were at their second Pearl Jam show ever and whose excitement was infectious. Thanks, guys. Much will be said about the setlist, but let me say this … this was a great performance. Mike McCready was on fire the entire night, playing solos that have totally reinvented Ten for me. Looking out at an ocean of fans lined up in front of Atlanta’s Midtown skyline clearly invigorated the band. Mike and Ed both took several jaunts down into the aisle between the rail and the stage keeping the energy high. 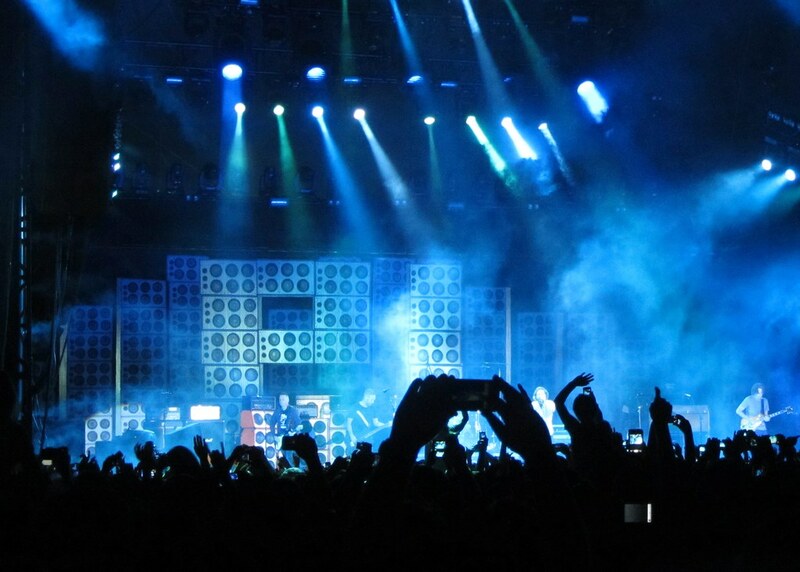 Pearl Jam’s had a light year as far as touring goes, and it was clear they were going to extend whatever jam they could, keep the crowd singing, and just have a lot of fun. They even crammed in what I believe was an unplanned performance of Alive, when they found that their finale would come up about a minute shy of their curfew. 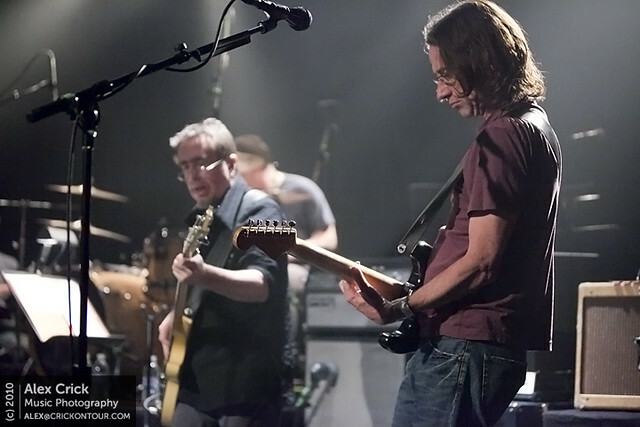 There’s been some grumbling about the setlist, mostly from fans that weren’t at the show. One fan even tweeted that it was the worst setlist in 22 years. Was it my favorite? Probably not, but I don’t see a lot of point in complaining that Pearl Jam played a hit-heavy set (2/3rds of the songs they played either appear on their greatest hits compilation or are singles from Backspacer) for a crowd who were there, not just for Pearl Jam, but for a whole set of musicians playing over the course of two days. Still, all-in-all, I’m home, and satisfied with my latest fix of live Pearl Jam, and a little sad that bootlegs are taking a little longer this year. Eddie Vedder, strumming a mandolin, started with a Pearl Jam hit [sic], "Rise." Next he traded the mandolin for ukelele from Hawaii ("It has a little birth certificate in there," he joked). Vedder then covered a James Taylor song (couldn't immediately name that tune) and Neil Young ("Rockin' in the Free World"). ... and a story about Ed's past when he probably wasn't paying income tax, but he wanted to become a more productive member of society. Here is his story of getting training to become a security guard in San Diego. EDIT: Unfortunately, the video was made private. We'll leave it here in case that changes again in the future. Until such a time, please see the Tampa Bay Times article for a summary of Ed's comments. 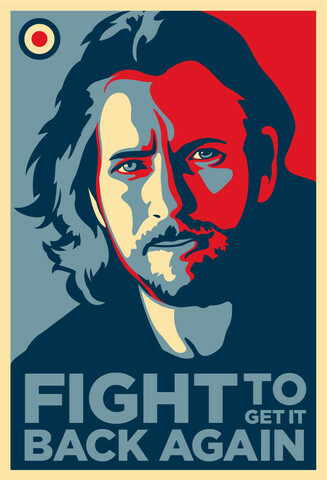 Eddie Vedder will be playing in Tampa, Florida in support of Barack Obama's re-election campaign. 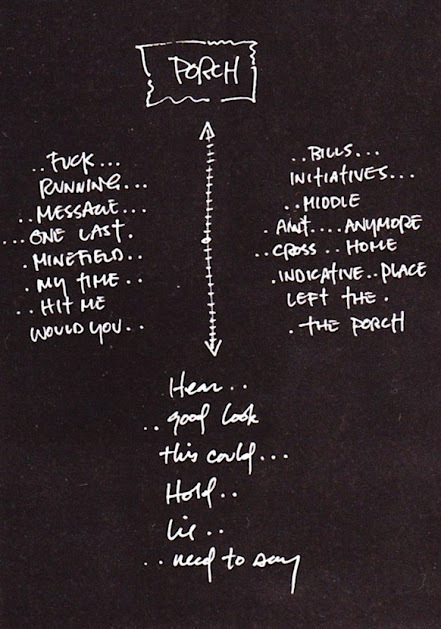 Apologies to chud for the use of Fixer lyrics. At first Oceans feels a bit out of place on Ten, given the general darkness that surrounds most of the other tracks, but it is still addressing the same themes, albeit from a slightly different angle. 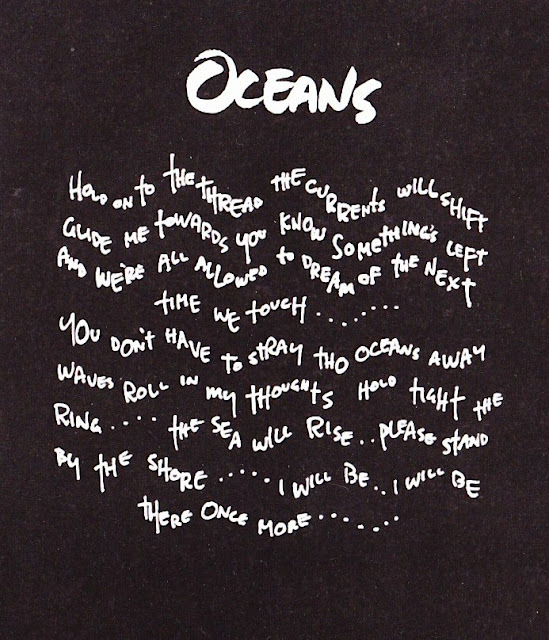 Most of the album is about betrayal, but Oceans is about trust, the opposite side of the same coin. 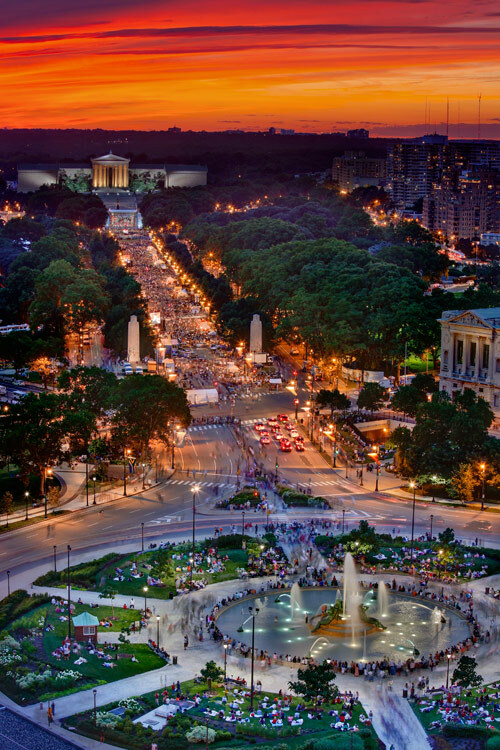 Its placement is also perfect as Porch will address a number of these themes, but in the midst of crisis, so the two play off each other nicely. Oceans is a love song, dealing with the fear and uncertainty that surrounds love, the need for trust and the way it makes you vulnerable. Eddie is one of the few writers out there who really understands that any love wants to survive must be grounded in trust, and that it needs to be strong enough to resist the ways life is constantly trying to undermine it. In Oceans the threat comes from distance, but the distance is a metaphor—any kind of stress and uncertainty will do. Oceans is a promise, assuring us that love is worth enduring what needs to be endured, that it will be worth it in the end. It's a reminder of how precious and fragile love is, and how important it is that we remember that. The song is a plea for faithfulness, and there is an urgent fragility to Eddie's vocals here, especially on the ohhhhhs after each verse. Eddie's vocals are extremely powerful to the point of overwhelming the song on many of the tracks on Ten, but that isn’t the case here. There is doubt and insecurity softening it. He knows exactly what he wants and asks for it with force, but he is also all too aware of how difficult it will be to hold onto, and how lost he will be without it (as the previous songs have all made very clear), and it makes him nervous and tenuous while he is trying to be assertive. It creates the tension that propels the song along. As usual the music does a terrific job conveying the mood (I'm not sure any of the records do this as well as Ten). It is warm and gentle, but with a sense of motion and instability to it, moments of calm battered about by currents that are largely beyond the control of the people adrift. It is supposed to sound like rolling waves, and it does. Close your eyes and you can picture two people standing on distant shores, looking out over the water towards where they know the other one is, reminding themselves that even though separation is a trial, it is one that needs to be endured because what will be otherwise lost is far too precious to abandon. 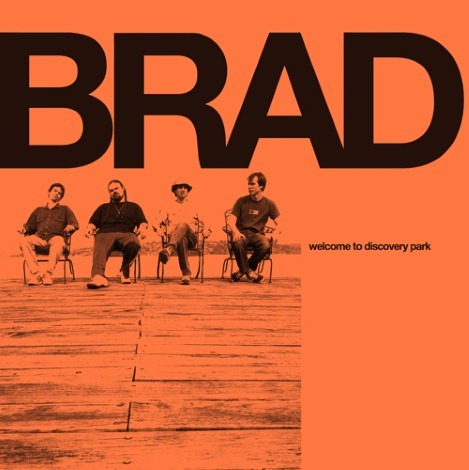 Brad has just announced the first in a series of reissues. Welcome to Discovery Park, their decade-old, out-of-print album from 2002 is the first of their albums to get the reissue treatment. Though the CD and digital download will eventually be available through most retail outlets, it's available for pre-order from MerchNow in CD digipak format ($16) and a limited 2-LP vinyl format ($20) with re-designed artwork by Regan Hagar. Both formats also include two previously unreleased tracks. 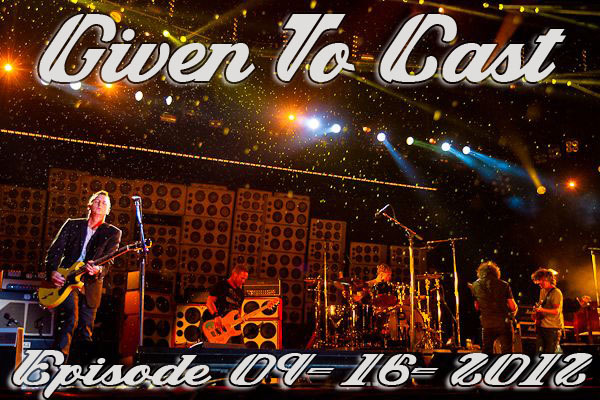 Given to Cast's September 16th episode is now available. Hey guys! Another episode is up and we have a second interview with Joe Little form Come to The Porch dot net, giving us a review of the Made in America Fest show and pre-party event. 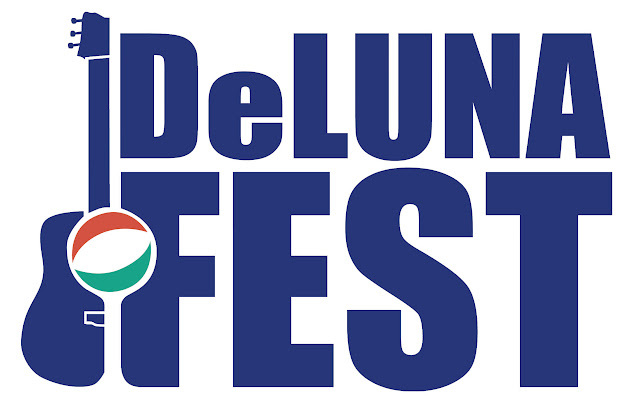 He also speaks about the upcoming event this coming weekend for the Deluna Fest in Pensacola Beach, FL. Also, I am doing another Trivia Contest but you have to listen to the show to get the answer. You have until Sept. 25th at 11:59 pm to send in your answers to mario@giventocast.net. Good luck and enjoy the podcast! Ouch! ... and it's a whopping $20,000 per ticket. The Clearwater Patch is reporting that Eddie Vedder will be performing this Thursday in Tampa, Florida at a fundraiser for President Obama. The Hillsborough County Democratic Party is hosting an evening reception with the president at the Tampa home of Lisa DeBartolo and husband Donn Miggs, with a special performance by Eddie Vedder, lead singer of Pearl Jam. The exact address will be given out when guests RSVP. Last year when Pearl Jam released the limited, 3-disc deluxe edition of their documentary, Pearl Jam Twenty, a lot of fans missed out on the opportunity to own one. Now the Ten Club is making up for the slight by offering a re-release of the deluxe edition of the DVD and Blu-Ray in a new, streamlined package. 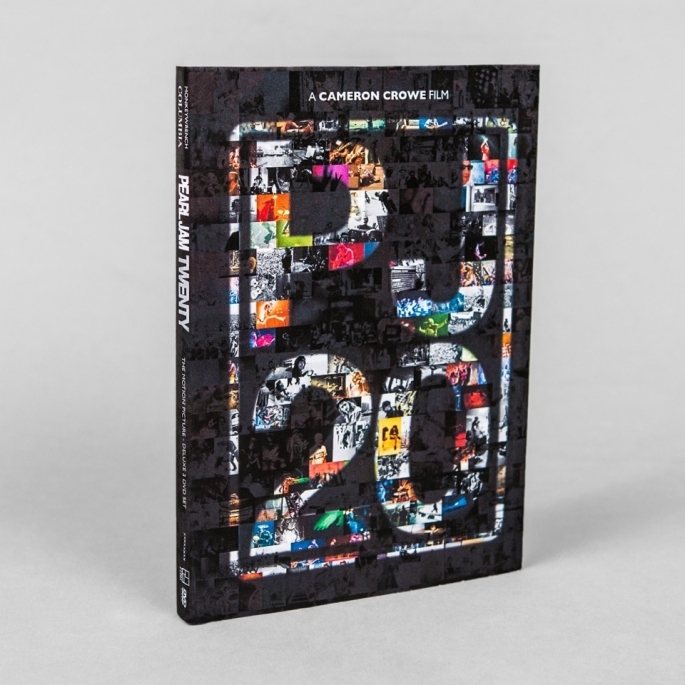 "Pearl Jam Twenty: Three Disc Deluxe Edition" - Repackaged PJ20 DVD and Blu-ray available for pre-order now. Due to overwhelming demand, "Pearl Jam Twenty: Deluxe Edition Box Set" has been repackaged and will be released as "Pearl Jam Twenty: Three Disc Deluxe Edition" on Tuesday, November 13th. "Pearl Jam Twenty: Three Disc Deluxe Edition" contains the exact same video content as the previously sold-out limited edition "Pearl Jam Twenty: Deluxe Edition Box Set"
The more streamlined package contains a 20-page booklet inside the Pizzoli cover. Price is $29.99 for the DVD set and $39.99 for the Blu-ray. 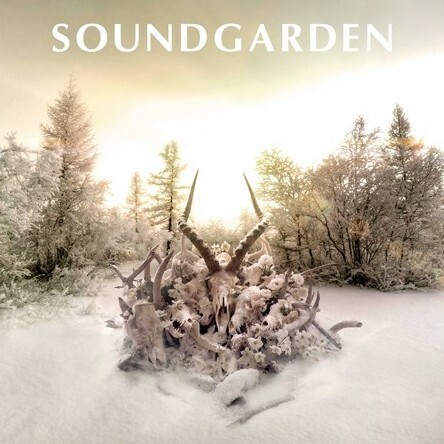 If Soundgarden is your passion, you've probably already seen this news trickle in, but the news about Soundgarden's upcoming album, King Animal (their first in 15 years), finally seems to have fleshed out. The official release date is November 13th, and you can pre-order a standard or deluxe version on Amazon, though we don't yet know what the deluxe version will entail. The tracklisting and album cover were released today. Jeremy's chorus is brilliant, for all its seeming simplicity, and one that is far too often ignored. We already have the picture of Jeremy as the quiet, brooding outsider—cut off from everyone else. One day he finally decides to speak, and it is obviously an event, or it would not be worth commenting on. But what did he say? The video makes it tragically clear, although there is enough ambiguity in the lyrics for there to be competing answers here. The only way he could express the trauma of his isolation was to take his life, and to do so in public, in a place of safety and innocence, to sear it into people's minds. In a sense, his final act, what was said, was a sacrifice of sorts, and a warning. Isolation is amongst the cruelest things you can do to another human being, and there are consequences to denying them warmth and love. 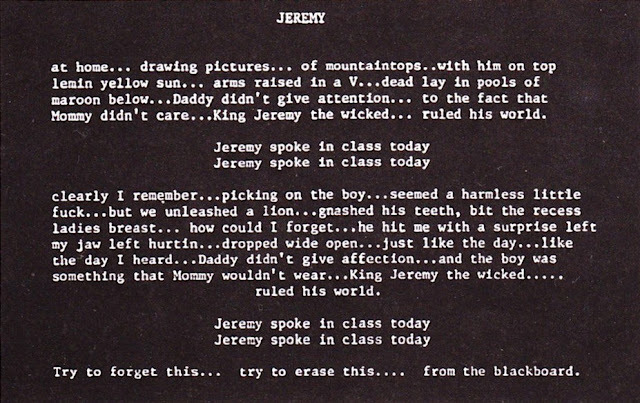 Jeremy's was a warning because the next time the bullets might not be turned inward, as we see in Once and in the real life school violence we've seen since. The blackboard is the iconic image of school and education—but what is ironic about this is that while knowledge is supposed to be permanent, a blackboard is completely disposable. Something is written, discussed for a time, and then erased to move on to something else—and as we all know, once the knowledge is erased it is rarely remembered. We move on to the next disposable moment, and the blackboard becomes a symbol of impermanence, the words written on them in some way diminished by their disposable presentation. Jeremy understood that and sought to leave a message, written in his blood, that try as we might, we will be unable to remove, or forget. Gremmie.net, who you may look to for great live, b-side, and outtake music by Pearl Jam, has been looking for a cease-and-desist-letter-free outlet for their sometimes raunchy, sometimes illegal, sometimes not-really-all-that-funny humor. 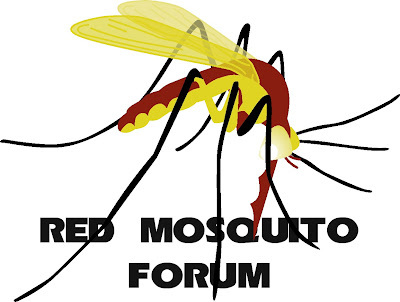 They seem to have finally hit on a podcast idea that may make you laugh, and may even make it past the Pearl Jam lawyers. Although some of the humor may glaze over the casual fan, die-hard Ten Club members will no doubt feel the pang of truth in some of Gremmie's best barbs. Check it out and have a laugh, but hurry. Kelly Curtis is calling his lawyer. ... and Darkness on the Edge of Town and My Hometown, on Saturday night. And, hey, maybe Ed's not your thing, how about Mike covering the Rolling Stones' Wild Horses with Brandi Carlile to raise money for the Looking Out Foundation? Earlier this week Brad teased that they were coming to Europe in February. Today they released their official dates and their opening band, New Killer Shoes. Some of the venues are coming soon. Looks like our friends over the pond will finally get a little Brad fix. 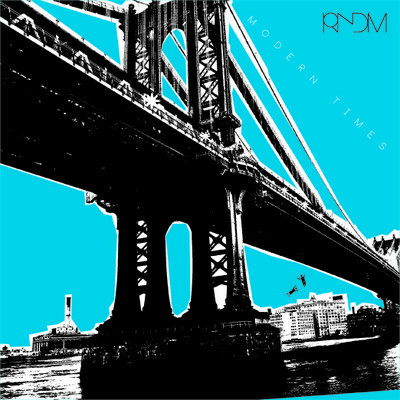 RNDM (Jeff's side project with Joseph Arthur and Richard Stuverud) has released the first single from their upcoming album, Acts. You can stream their first single, Modern Times, on Soundcloud or head over to iTunes to pick up your own digital copy for 99 cents. Details are yet to come, but Brad has just announced that they will be touring Europe in February. We're super-pleased to announce our first ever UK and European tour dates! February 2013 sees Brad's debut trip to Europe. Full details will be revealed in the next few days. 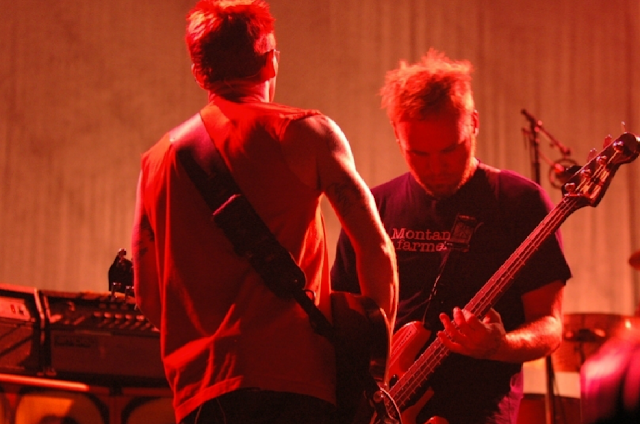 In Philadelphia, Jeff sat down with Fuse TV to talk about Pearl Jam's future. He mentioned that work on No Code, Yield, and Binaural reissues will probably not be coming for a few years. He did, however, mention that Pearl Jam was halfway done with the new album. We, of course, do not believe this because Jeff said the same thing a full year and 3 Jeff Ament albums ago, but he does offer a little explanation. The great thing at this point is we’re not really in a hurry to do anything we kind of do things as naturally as we can. Some shows come up, like this show only popped up on our radar maybe. two and a half months ago. Things come up, we can kind of pick and choose the fun things we want to do. Finishing the record’s taking a little bit of a backseat, it’s always worked better with us to take our time with things. Thanks to GrungeReport.net. I stole your transcription. Black is a great example of everyone in the band knowing when to play restrained and who to give focus to at exactly the right time. It is also one of those rare songs that understands precisely what is happening when you're left behind at the end of a powerful relationship. There isn’t anger, or clarity—just a searing, painful desire to have the person back and a fear of spending the rest of your life alone. There isn’t redemption in this song like there is at the end of Alive, nor is there release to be found in anger like in Why Go or Once. But Eddie's voice channels so much empathy that even while things are falling apart you know that you aren’t alone. There is someone with you in the black. The tension continues in the second verse—the lyrics paint a picture of a life that's lost its flavor—the bitterness and pain that he feels at seeing people around him happy when he has nothing. And the song gradually begins its descent into total breakdown. The vocals lose a great deal of their confidence, if not their power. The growl is much more prominent and there is a ragged edge to it that wasn’t there before, and the music picks up its urgency to match it. He is still in control, but he's losing it, and he lets us know. It isn’t just the pictures and the memories lost to the darkness—that darkness is growing, encapsulating not only the past but his present and future possibilities. Everything is gone—all he has left is the void. The final declaration is heart breaking—his love has moved on to other things. She is somewhere else, living her life and lighting someone else's sky while he is trapped here, howling in the darkness for her to come back, begging for someone to tell him what he did wrong, knowing he isn’t going to get an answer and that without any light he will never find a way out. The vocals here are absolutely perfect—in particular the way he sings ‘why’ the first two times—the slight quaver, the way he probes around the edges, and the way it is drenched in both weary sadness and intensity, quiet and powerful. Next time you listen to the song really focus on what he does with that word. It is amazing. And the song ends with his exhausted, wordless howls, indistinct screaming guitars and the bitterly sad melody. No one moment is given center stage (neither the solo nor eddie's vocals nor the backing music) since there is no light to give anything perspective or clarity. It is the sound of a life utterly collapsing, chronicling his descent into the black. Ames Bros currently has the Made In America Festival poster available on their website, signed for $59.00. If you're an über collector, you'll want to check out their site at 9pm PT tonight for your chance to buy a limited number of the two separate prints that went into the creation of this poster. 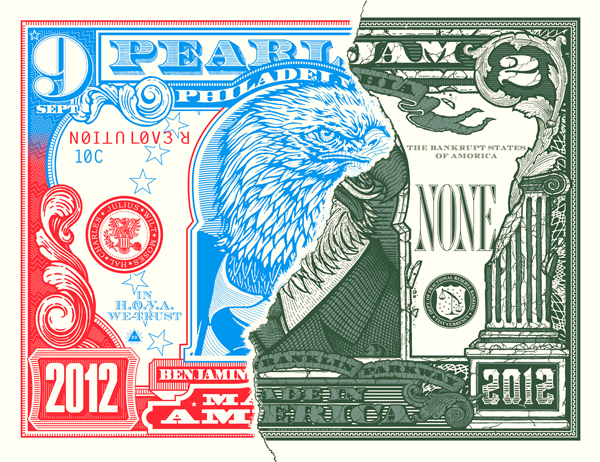 As part of the process of creating the final artwork with Brad Klausen for the Pearl Jam Philadelphia poster, we created 2 individual prints. These prints were created to not only be a part of the final piece, but to stand on their own. A total of 125 limited edition prints of each of the 2 pieces were created. A handful of each were sent on to the venue to be mixed in with the rest of the run. Most of the remaining prints will go into the archives. Tonight we will have a very, very limited amount of signed and numbered prints available, numbered out of an edition of 125(total copies). We will also have the actual show poster available for purchase. Signed by both artists out of an edition of 115. Posters are now at a reduced price for the next 24 hours. After that, posters will be marked back to full price!